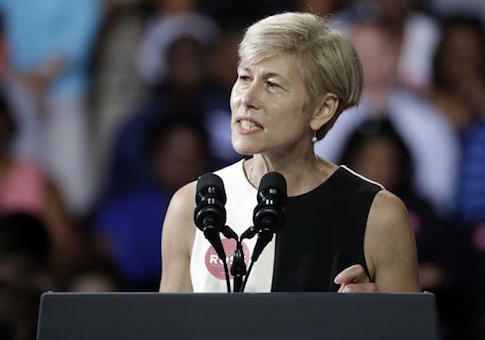 As executive director of the American Civil Liberties Union of North Carolina in the months following 9/11, Democratic Senate candidate Deborah Ross voiced her concern that intelligence agencies were on the verge of becoming "all the more dangerous." Her concern was explained in length in the ACLU of North Carolina’s Winter 2001 newsletter, which featured a lengthy essay on how civil liberties were being sacrificed "in the name of national security." "We should never forget the historical abuses that have taken place in the name of national security," the newsletter read. "The new federal law will unleash the intelligence agencies which are all the more dangerous given the new technological tools at the government's disposal." Ross categorized legislative proposals to give new tools to the intelligence community as "very reactionary and very invasive" in a separate interview with North Carolina’s News and Observer. Ross is currently advocating, however, for the intelligence community to "use all the tools at our disposal" if that is what is needed to protect Americans. "Protecting Americans is Deborah’s top priority," the national security page of her campaign website reads. "She believes our national security is strongest when we use all the tools at our disposal." Ross also calls for "an intelligence community that will stay one step ahead of our enemies." The Ross campaign did not respond to multiple requests for clarification on her current view of how the intelligence community should operate. Her Republican opponent, Sen. Richard Burr (N.C.), chairs the Senate Intelligence Committee and has been critical of her lack of national security credentials. His campaign said to the Washington Free Beacon that the ACLU newsletter’s comments in the wake of the 9/11 terror attacks show that Ross has "little regard for the work" done by the intelligence community. "Every day we learn about new radical elements from Deborah Ross’ tenure as the head of the ACLU in North Carolina," Burr spokesman Jesse Hunt said. "Calling American intelligence agencies ‘dangerous’ at a time when they were doing everything in their power to protect innocent Americans from another attack is the epitome of being out of touch." "The intelligence community plays a vital role in the effort to keep our country safe, and it’s a shame that Ross has such little regard for the work the community does," Hunt added. Ross has not been eager to focus on national security issues thus far in the campaign. An analysis of her campaign Twitter page since she launched her campaign last October finds that she has not mentioned Iran or the Islamic State. Her only mention of terrorism is in reference to her belief that guns should not be sold to individuals on the no fly list—an intelligence tool created after 9/11 that is opposed by the ACLU, whether it is being used as a gun control tool or to keep suspected terrorists off planes. When Ross has been asked about national security issues during interviews, she has used awkward phrases, such as in a March interview when she said that ISIS must be taken care of with "sophisticated diplomacy." "The first thing I want your viewers to know is that I care tremendously about their safety," Ross told a local news station. "We need to take care of ISIS off of our shores—that means using, using the most sophisticated military, the most sophisticated intelligence, and the most sophisticated diplomacy that we can." The Burr campaign has called on Ross to take clear positions on issues such as the Iran nuclear deal. "Deborah Ross’ repeated silence on matters of national security underscores her lack of preparedness when it comes to dealing with the serious threats facing our country," Burr said in a statement earlier this week. "Each passing week Ross displays her inexperience in an area where North Carolina voters truly value proven leadership." This entry was posted in National Security and tagged Deborah Ross, Intelligence, North Carolina, September 11, Unions. Bookmark the permalink.